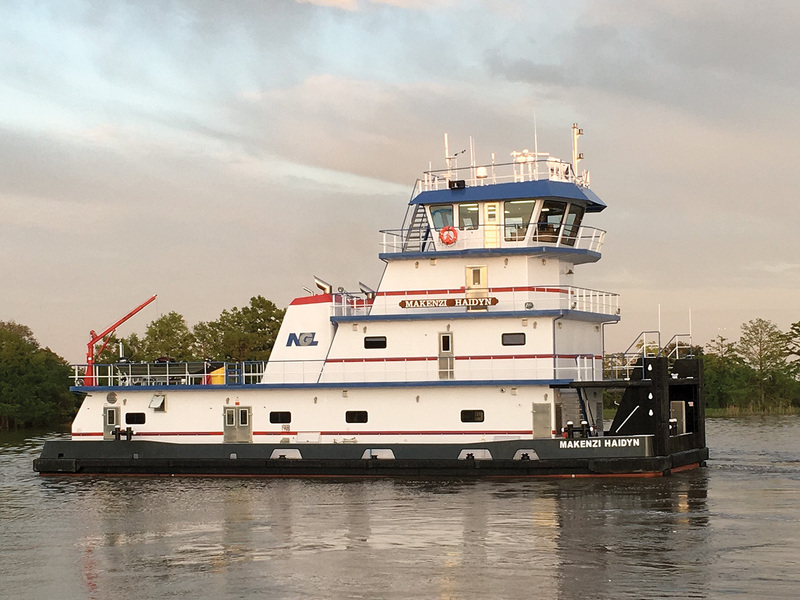 NGL Marine, a segment of NGL Energy Partners LLC, Houston, Texas, has accepted delivery of a new twin-screw towboat named mv. Makenzi Haidyn. Built by Westport Orange Shipyard in Orange, Texas, on the design of Sterling Marine, it was completed April 13. The open-wheel vessel measures 90 by 32 feet with a depth of 11-1/2 feet and a draft of 9 feet. It has a pilothouse eye level of 35 feet. Its 2,600 hp. 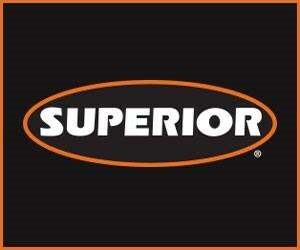 is from twin Cat 3512 Tier 3 mains. The engines turn 83- by 63-inch, Sound propellers on 8-inch shafts through Twin Disc MGX 5600 reduction gears from Sewart Supply. Reduction is 6:1. The engines are keel cooled by an East Park Radiator system. The Makenzi has a fuel capacity of 30,000 gallons and can carry 8,000 gallons of potable water, 300 gallons of lube oil and 200 gallons of gear oil. The steering system and engine alarms were provided by Rio Controls & Hydraulics. The new vessel has accommodations for a crew of seven with two complete baths and one half-bath. There is 3-inch mineral wool insulation throughout the cabins, with additional sound barriers sandwiched between the mineral wool at every engineroom bulkhead to eliminate machinery noise. Two 99 kw. John Deere generators from MSI Houston provide auxiliary power. The interior features wood paneling, ceramic tile and granite counter tops. Deck equipment includes two Nabrico 40-ton winches from Johnny’s Propeller Shop. The electronics package was provided by D&G Communications. The hull is protected by M&M Bumpers. 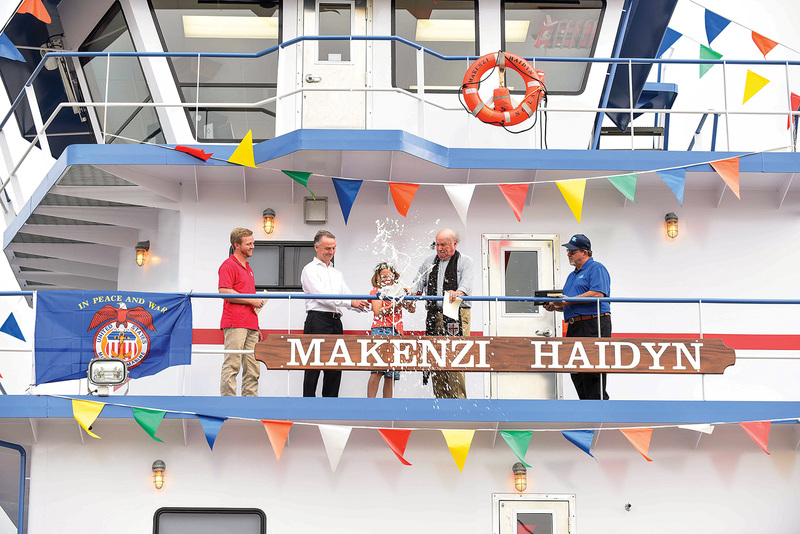 The Makenzi Haidyn is named for the granddaughter of Don Robinson, who is NGL’s executive vice president of crude oil logistics. The company, a midstreamer that transports crude oil and natural gas, christened it in a ceremony April 18. An identical towboat for NGL Marine is due to be delivered in about a month by Westport Orange, with two larger ones on order, said Craig Lagrone, vice president-marine. From left: Dexter Robinson, Don Robinson, Makenzi Haidyn, Rev. Winston Rice and Capt. Preston Stelly.